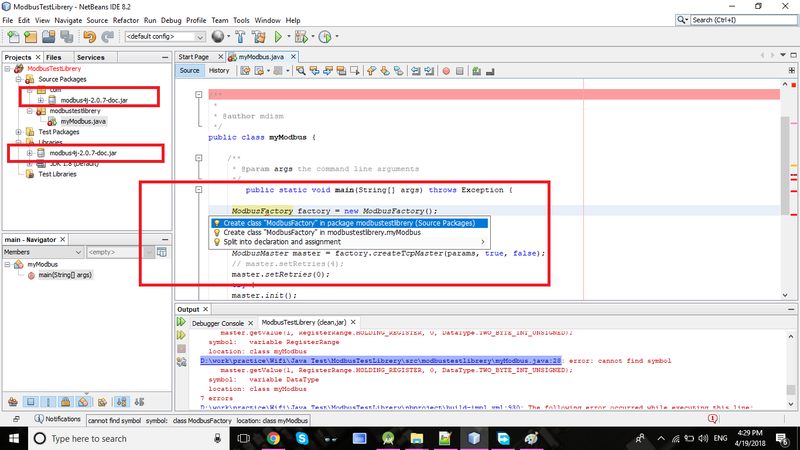 I have added the code to fresh NetBeans project and import the Modbus4J library from the right side library import panel. but still its showing error in the code. 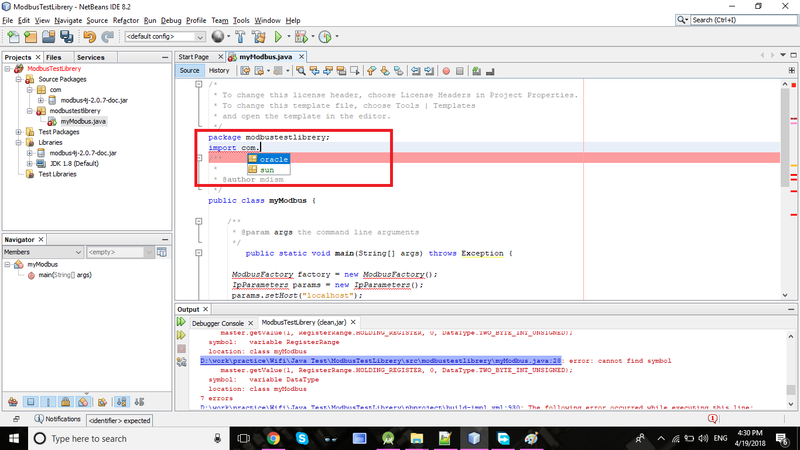 I tried with alt+enter but it's not showing to import option. Seems like a path issue. Is modbus4j on your classpath?